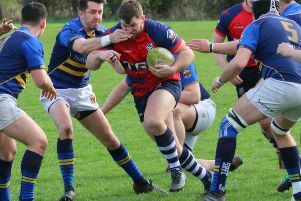 Player-coach Matt Goode knows Banbury Bulls have to hit the ground running when they resume Wadworth 6X South West One East action this weekend. Bulls are now just four points behind second-placed Old Centralians. On Saturday Bulls travel to lowly Swindon and Centralians entertain Witney on the same day with both clubs favourites to take maximum points from those games. Ian Isham and Tommy Gray are available for Saturday’s after it was initially reported they would be missing the game. Following Saturday’s trip to Swindon, Bulls entertain Trowbridge, are away at Wimborne before founding off against Witney at the DCS Stadium. 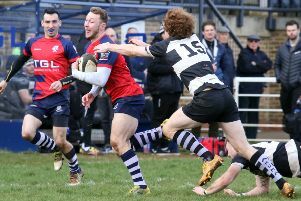 Old Centralians also have a favourable run-in, with games against Oxford Harlequins, Royal Wootton Basset which looks to be their hardest fixture, and Salisbury who surprised Bulls earlier this month.